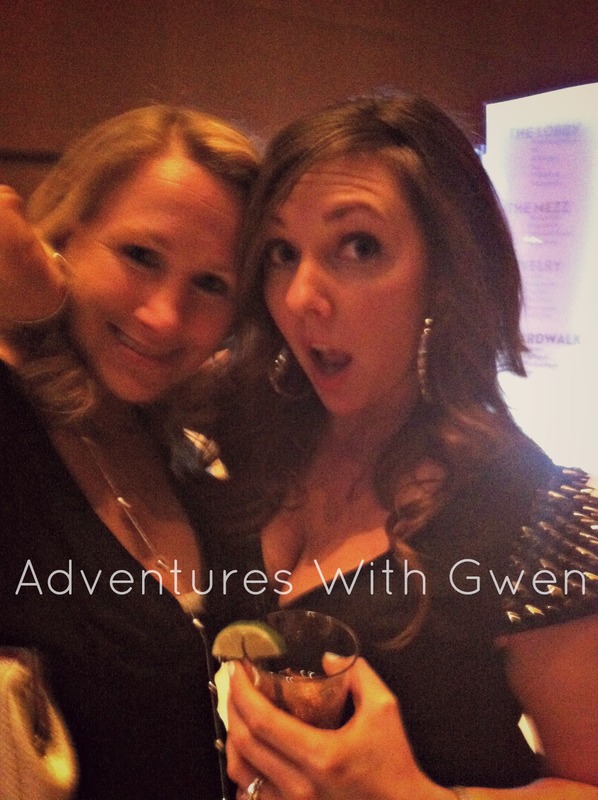 Adventures With Gwen: Bachelorette Party. This past weekend was amazing! Relaxing, fun, much needed and... I made it past one am! Lol. I love my girls, and it's not often that we all get to get together like we did, which makes it even more memorable. 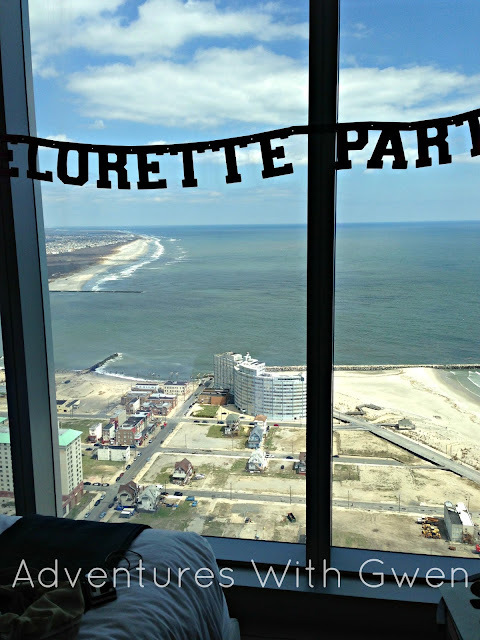 Not to mention, we always have a good time in Atlantic City together! We had a spa day (manis and makeup). We got all prettied up. We had a delish meal. And then we danced and drank our asses off. I loved every second of it, and I just hope that the bride-to-be had the greatest night! 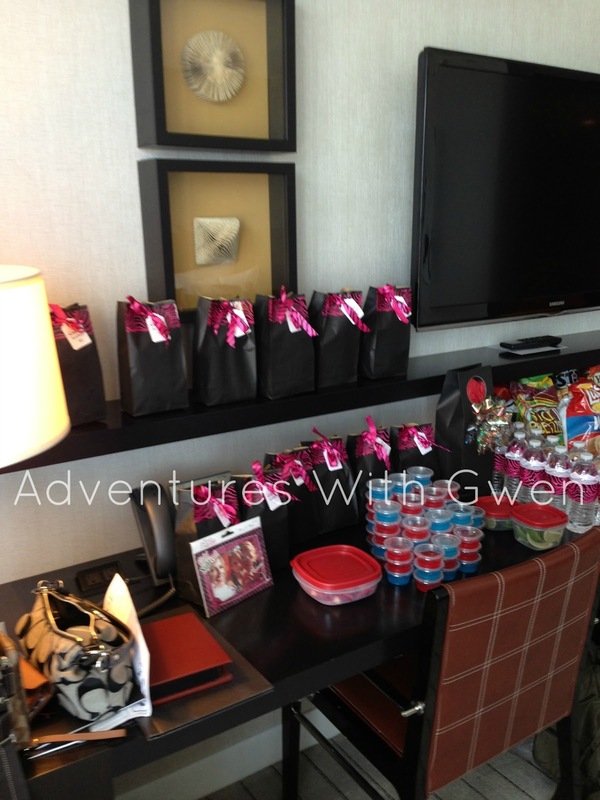 Survival kits, jello shots, snacks, and booze, oh my! 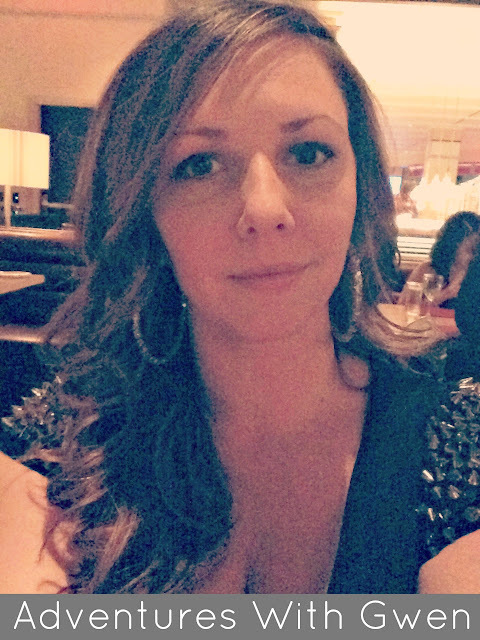 Selfie sent to the Hubs during dinner. OF COURSE I missed my little family and couldn't wait to see them, but it was nice to hang with my girls. Only 10 more days until the big day!!!! Ahhh! Can't wait! Looks like so much fun! So glad you had a good time! What an awesome time! I must be getting old though. I think I would have just sat and started at the view the whole time! 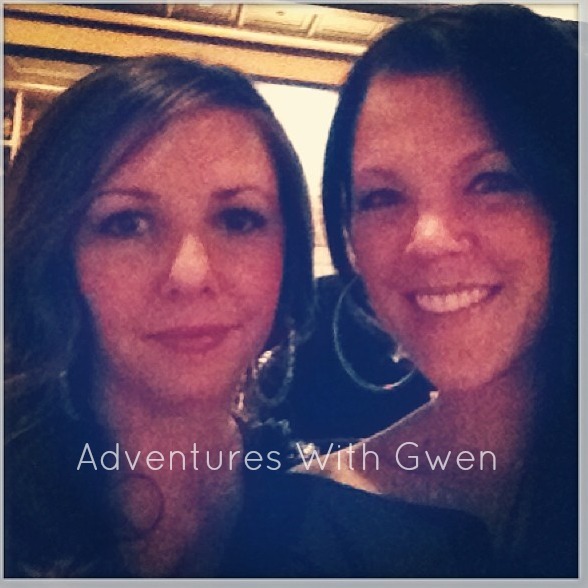 You look great, and looks like you gals had fun! The Best Kind Of Surprise. Our Easter Rundown. Part 3. The Finale. Our Easter Rundown. Part 2. Easter Morning. Our Easter Rundown. Part 1. Easter Eve. The Have It Your Way Giveaway.